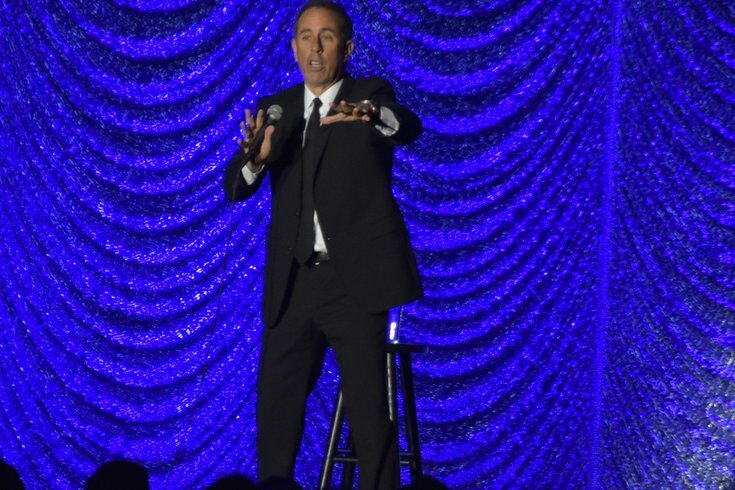 Jerry Seinfeld performs at "Philly Fights Cancer: Round 4" at the Philadelphia Navy Yard, Nov. 10, 2018. 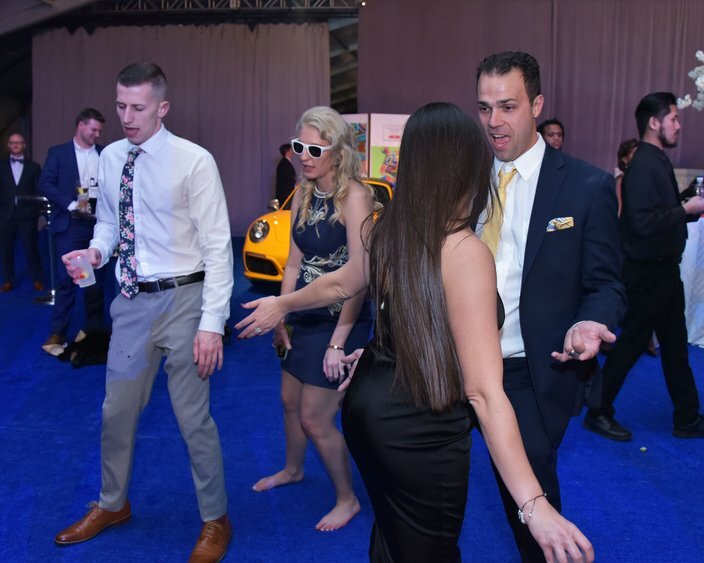 On Saturday night, 1,800 people attended the fourth annual Philly Fights Cancer charity gala at the Philadelphia Navy Yard. 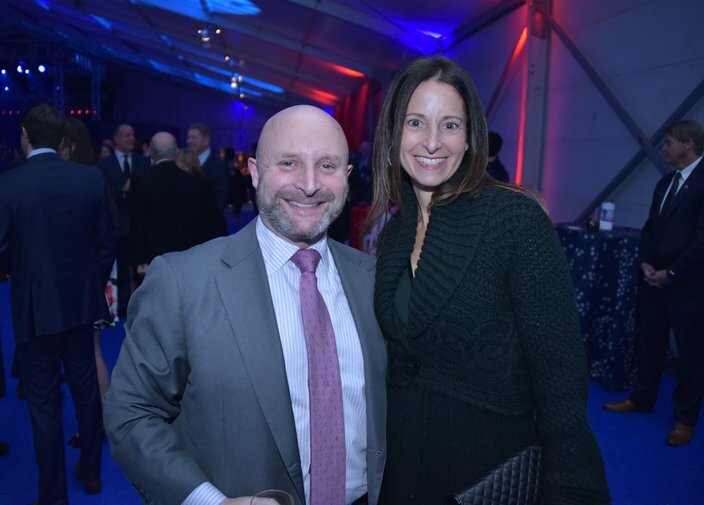 The event raised nearly $10 million to support translational research and clinical trials at Abramson Cancer Center at Penn Medicine. There was a cocktail party where guests enjoyed specialty cocktails, and passed hors d'oeuvres while they had the opportunity to inspect a limited-edition Porsche 911 Speedster, which was later auctioned off at a price of $440,000. 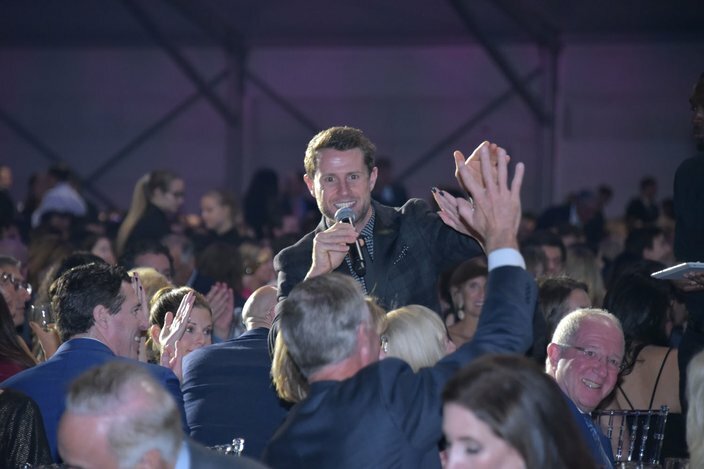 Among the other highlights of the evening, nearly $3 million was raised during the "live pledge" portion of the event, including a $1 million donation from an anonymous benefactor. 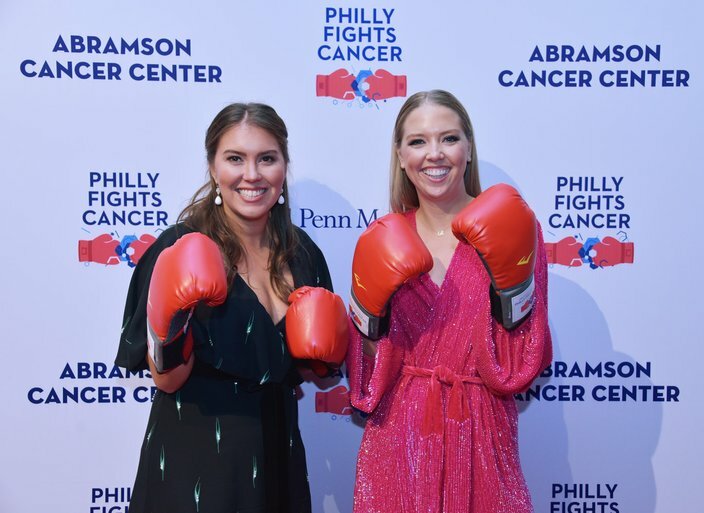 Philly Fights Cancer's co-chairs were Nancy Abramson-Wolfson and Missy Dietz, along with honorary chair Sean Parker, founder and chairman of the Parker Institute for Cancer Immunotherapy. Dr. Carl June, who recently was named to TIME Magazine’s 2018 TIME 100 – the publication's annual list of the 100 most influential people in the world – for his breakthrough CAR-T cell therapy was honored for his work. After dinner comedian Jerry Seinfeld entertained the crowd, followed by a concert by Maroon 5 at the Philly Fights Cancer Young Friends afterparty. 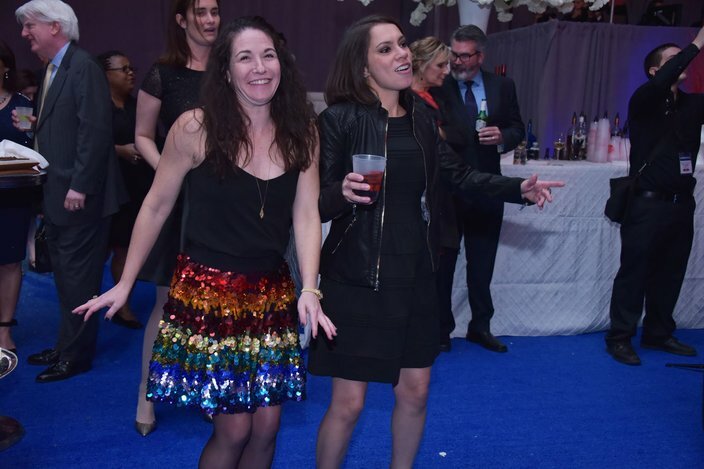 Philly Fights Cancer Young Friends Co-Chairs Stephanie Wolfson and Paige Dietz attend the event “Philly Fights Cancer: Round 4” at the Philadelphia Navy Yard, Nov. 10, 2018. 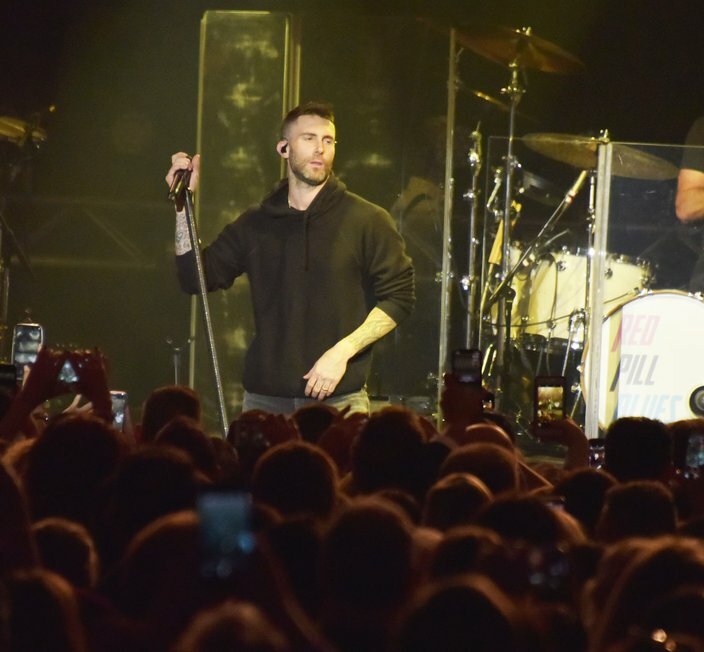 Maroon 5's Adam Levine performs at “Philly Fights Cancer: Round 4” at the Philadelphia Navy Yard, Nov. 10, 2018. Harry Santa-Olalla at “Philly Fights Cancer: Round 4” at the Philadelphia Navy Yard, Nov. 10, 2018. 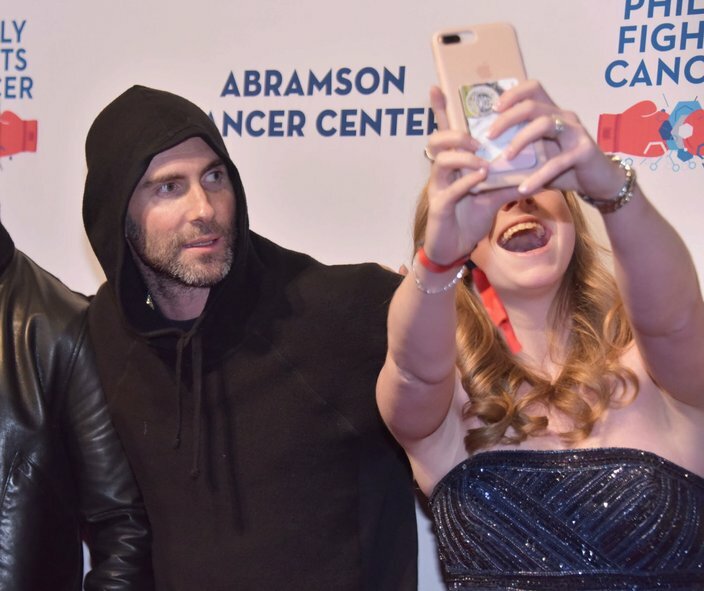 Adam Levine of the band Maroon 5 poses with a fan on the red carpet at the “Philly Fights Cancer: Round 4” event at the Philadelphia Navy Yard, Nov. 10, 2018. Members of the Young Friends dance to Maroon 5 at “Philly Fights Cancer: Round 4” at the Philadelphia Navy Yard, Nov. 10, 2018. Marny Baxt and Cecilia Scavelli attended the event “Philly Fights Cancer: Round 4” at the Philadelphia Navy Yard, Nov. 10, 2018. 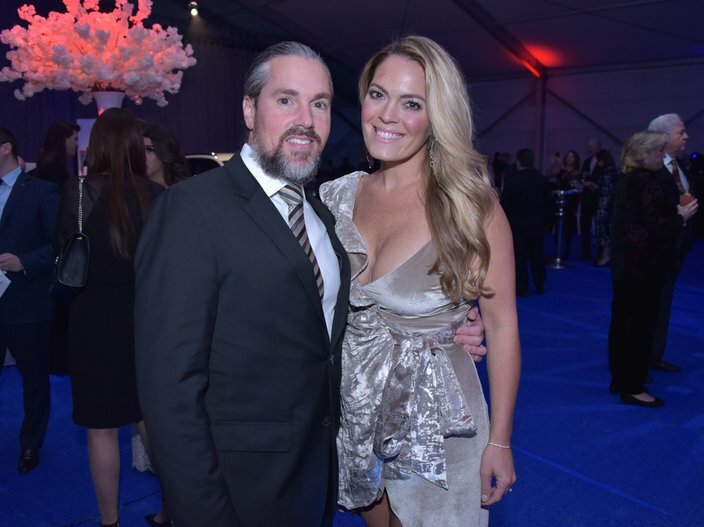 Jeff and Melissa Benjamin attended “Philly Fights Cancer: Round 4” at the Philadelphia Navy Yard, Nov. 10, 2018. Daniel Piazza and Jamie Ginn attended “Philly Fights Cancer: Round 4” at the Philadelphia Navy Yard, Nov. 10, 2018.